Remodeling your home is a significant undertaking, and it's very important that the project yields excellent results. Remodeling can significantly increase the resale value of your home, and it can help you make your home more comfortable, attractive, and functional. 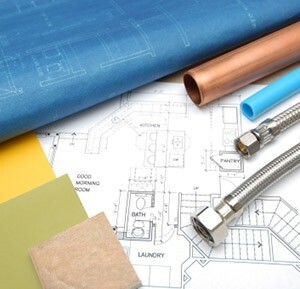 Many remodeling projects require significant work to your plumbing, and at Cooper's Inc., we provide high quality plumbing services for plumbing remodeling projects of all kinds. No matter how large or small your remodeling project, we'll be able to ensure that the plumbing is in excellent condition. We'll be able to guarantee that the space is as comfortable as possible, and that every part of it is totally functional and efficient. Whether it's a small bathroom remodeling project or a commercial kitchen remodeling effort, we have your plumbing installation and fixture replacement needs covered. Call us today to begin working on your next plumbing remodeling project in the Topeka area, and our plumbers will be looking forward to working with you. Laundry rooms, kitchens, and bathrooms all depend on water fixtures, and there is an intricate network of pipes that can run through the foundation of your home, as well as throughout walls and ceilings, in order to deliver water to plumbing fixtures throughout your home. When remodeling efforts require you to move any plumbing fixtures, it's often necessary to alter the pipes in your home or relocate fixtures. Our plumbers will be able to help ensure that your remodeling project is as successful as possible by relocating and adjusting pipes and fixtures to ensure they're totally functional. While you may to need to move pipes and fixtures during a remodeling project, you might also want to add new features and fixtures to your rooms. Whether you're adding a new shower, a new sink, or a wet bar to your home, our professionals will be able to ensure that it's totally functional. Just as you'll need a general contractor for framing and drywall and an electrician for any wiring, you'll need our plumbers to ensure that all of your new fixtures are in great shape. For quality plumbing remodeling services in Topeka, please call Cooper's Inc at 785-267-4100 or complete our online request form.